Don&apos;t miss live music from Third World, Warrior King, Ras Chakai, NostalJah, and more! Domino Tournament, food, art and craft vendors, Kid&apos;s Zone. Advance tickets: $10; at the gate: $15; kids under 13: free; VIP: $30; VIP Child: $10. 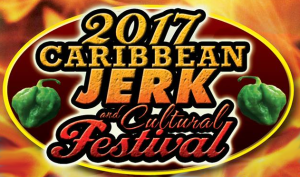 Visit facebook.com/caribjerkfest for details. Sponsor and vendor information: call 954.856.5293. Pre-Festival: Oct. 6, 5:30-10:30 pm, Dockside Grill at Four Points by Sheraton and TT&apos;s Tiki Bar, 33 Tamiami Tr., Punta Gorda: live Reggae music and DJ, Domino competition, meet and greet.